This dedication will be a departure from the usually upbeat posts as I do believe life itself should be balanced and not too sheltered. I have always been pro South African and the eternal optimist. I have always argued against ignorance by promoting our achievements and celebrating the heros of our time. I have consistently promoted South Africa by painting a positive and scenic picture for those I have met on my travels taking away the perception of mud huts and animals roaming free. Some people just needed a change of perception as in their defense their expectation is conceived from information and primitive visuals which are found on National Geographic and these heart breaking charity ads on TV. I have bragged about the good life my family has and how we have prospered enough to be able to travel the world. I tried to separate the good from the bad and how one is able to have a consistently normal life in a country with such diverse extremes. I have therefore always despised Saffers who left for greener pastures and who have become keyboard haters of our new democracy, especially knowing that Mandela was essentially caught and imprisoned because he refused to leave the country when many of the other leaders have left to study in foreign universities and fight the struggle from outside SA. I somehow had an overwhelming need to reeducate folks by planting seeds of hope for a country that has such a poor and scary reputation. 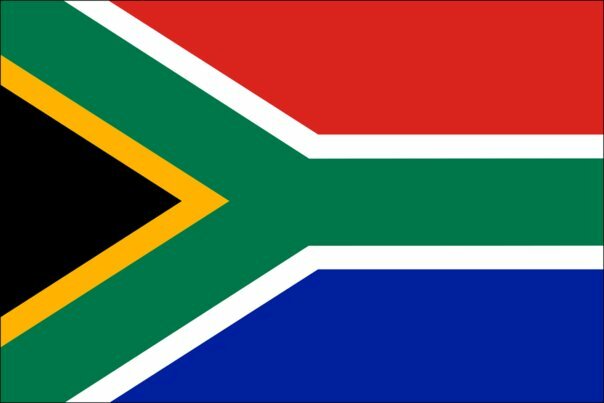 This week my enduring compassion for SA has been violent shaken to the core. I was informed that my beloved aunty who was the patriarch of our family had died this week. She was 73 years old but always took so great care of herself. She was never sick and had an extremely active life. I really assumed she was 50 something. After my grand father passed she took over all the family businesses which included liqueur stores, night clubs, bars, a hotel and butcheries. I worked for her for a few years and loved the business. She was always the most conservative in the family which made us rely on her guidance so much more. Then the devastating news that she was actually murdered. She was murdered by her gardener in the most violent way. Such a beautiful person was taken away in such a horrible way is just unfathomable, especially with me on the other side of the world. I could not reconcile that she could be involved in anything so vulgar. She led the life of a saint, was church going and extremely generous. None of my SA vacations could be complete without my visit to her and spending sometime in her house. If it was not for the pictures in the newspapers of her body being removed from her home I could imagine that this never happened. Our family has never experienced such a level of crime before and has been relatively unhindered by the level of violence in our country. To say that she did not deserve such an end is the biggest understatement that was ever made. She was not a risk taker and was extremely family orientated and her grand kids were the joy of her life. Even as a business woman I remember we would drive home on different routes from the various businesses just to ensure her routine was not noticeable by would be robbers. She was homely and just enjoyed spending time with her family. I now realize that all my optimism surrounding SA all hinged on the fact that our family was born on the privileged side of life and that we were never really exposed to the high volume of crime which was reported on a daily basis. Did I then fool myself into a false sense of security. Of course not. I knew where we were living and was particularly aware of our security issues. I suppose I did have a feeling that being a statistic belonged to other people who we read about in newspapers and not our good family. Iam now given a rude awakening with such a personal sacrifice that Iam questioning whether I should reconsider my positive outlook. How can I not? I now feel a blatant need to kill that mother fucker who dared to lay hands on such a loving aunty. So now I understand what many South Africans are feeling in the wake of violent crime. Its an extremely hopeless experience. Especially when you hear that the police detectives were delayed as their precinct had 16 other murders that same day. And this is on a Monday! In Canada I live in the most violent city in the country with 36 murders a year but in one Cape Town precinct they have 16 murders in one day. I wonder how many precincts are in Cape Town, then again I prefer not to know or Ill be further discouraged with hopelessness. For now I will remember my aunty for all the great moments and the wonderful life she lived. Maybe her spirit will guide me on how to deal with her loss and what message I should carry forward with me. Aunty I will remember you for your smile and that special place you hold in our heart.